Neil Robertson is in his second month as chief executive of Solihull-based Energy & Utility Skills (EU Skills), the sector skills council for the gas, power, water and waste industries. As a training and skills specialist arriving from the hospitality sector (see box), Robertson describes his first impressions of the skills situation in utilities as “frankly worrying”. The sector needs to recruit 17.8 per cent of its current workforce over the next five years – at least 3,920 trainees and upskillers. This is against the heady backdrop of global competition for skilled engineers, an ageing workforce, a steady legacy of a reducing labour pool and a decaying training infrastructure – plus unprecedented global economic peril. “Companies have less cash, it’s more expensive to borrow, and there’s a reluctance to invest due to uncertainty,” says Robertson. He is straight-talking on what all this means for utilities and those in their supply chains. “Employers are not doing enough,” he says. “The bottom line is we need to do 20 per cent more as a sector to keep current capabilities, let alone get more.” To stand a chance of increasing the pool of skilled labour, rather than keep competing in a diminishing pool, utilities, contractors, suppliers and even small businesses will have to collaborate – with each other, and with their competitors. Robertson’s first task is to revamp EU Skills to ready it for the challenges ahead. He has good raw material and describes his new employer as a “fantastically competent organisation that has been modest and needs to be more forward about its value”. It has a strong membership base among both utilities and the supply chain: 124 members of EU Skills and 41 members of the National Skills Academy for Power (a training and development body for the electricity sector). Moreover, it has a healthy budget: “We are well positioned to be sustainable even with anticipated further cuts in public support,” Robertson explains. He plans first to develop the organisation’s membership proposition, both by offering a greater variety of membership options and rights and by spelling out in hard cash terms what membership is worth to individual companies. The plan is to “show a return on investment with an attractive pound sign attached”. Second, Robertson intends to develop EU Skills’ commercial proposition to make it more appealing to training and human resources professionals. This will primarily be through repackaging existing offerings, but to a lesser extent it will entail developing new offerings to create a full service capability. For the purposes of accessing grants, EU Skills will increasingly be bidding in conjunction with member companies to fit with the government’s preference for “employer ownership” of training and its consequent earmarking of pots of money for employers, not training providers. In practical terms, the sector skills council will continue to pursue its established goals, but smarter. “It will be more of the same, but more sophisticated,” according to Robertson. EU Skills will help demonstrate competencies by assisting in the development of agreed qualifications and learning processes. Last month, for instance, it won £240,000 government funding to develop three new Higher Apprenticeships in power, water and waste management. Robertson explains that there has been a quality issue with some higher level training. “Employers have found the skills of people who’ve had the higher level of training aren’t always all they might be,” he says. The new Higher Apprenticeships will bring quality and consistency. Another key strand of activity is lobbying on behalf of the sector. Robertson cites here EU Skills’ Workforce Planning Model, a tool able to forecast workforce needs for each key occupation in each sector 15 years out. Its findings have already helped persuade Ofgem to allocate £72 million of investment to skills. EU Skills now plans to use the tool more to inform future strategies. 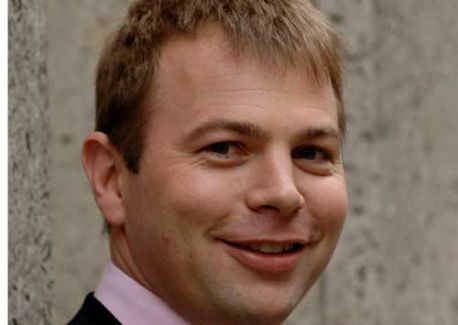 Neil Robertson, 43, is former chief executive of the British Institute of Inn Keeping. In his role there he worked extensively with apprenticeships and in the fields of technical training leadership and management. In his earlier career he clocked up more than 14 years’ experience in senior management across both the public and private sectors, among other things in the skills sector, where he developed and delivered national strategies and policies. Robertson also established his own consultancy concentrating specifically on training, strategic change and internationalisation within the hospitality and media industries. This article first appeared in Utility Week’s print edition of 20 July 2012.